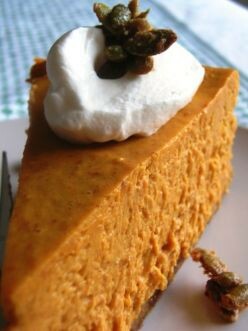 Beat cream cheese, pumpkin, sugar and pumpkin pie spice in large bowl with wire whisk or electric mixer until smooth. Gently stir in whipped topping. Spoon into crust. Refrigerate three hours or until set. Garnish as desired.